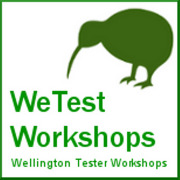 Well hello, Hello Test World. Firstly, it’s an honour to be included as part of the team here. What a great bunch of thinking testers to blog with! Since KWST #2 in 2012 (where we met) I have formed a wonderful friendship with these Kiwi dudes, and have learned a great deal in the process. Their passion for our craft is infectious, and for that I thank them. First we discuss our thoughts on leadership, then what we’re trying to do for our little pieces of the world. Oh, it’s long… but stick with it.